Our Products: 1873 Great Western II Revolvers > "U.S. Grant"
New for 2019, the Great Western II "U.S. Grant" is not your average single action revolver! 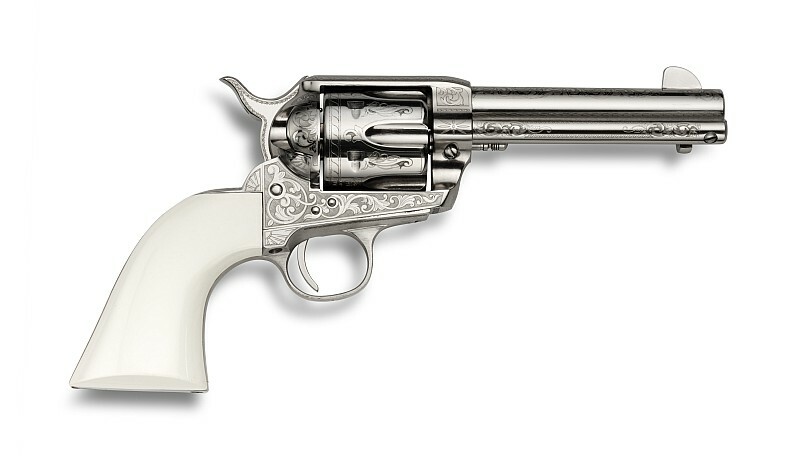 Just one look at this stunning revolver tells you it is unique, special, and a real beauty! Manufactured and engraved by FAP F. LLI Pietta in Italy, then nickel-plated, the GWII "U.S. Grant" combines beauty and class, making this firearm a "must have" for any collection. 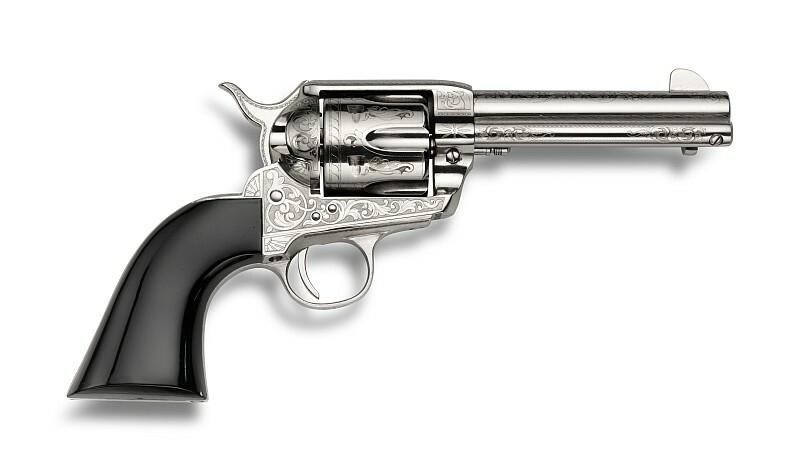 The engraving pattern is Victorian floral scroll-work and covers 95% of the pistol. This tribute to EMF's late president Boyd Davis aka U.S. Grant, SASS #2, features engraving duplicated from the guns he traditionally used in Cowboy Action competition. The one-piece wood grip gives a beautiful contrast to the bright nickel. Available in .357Mag or 45LC, The "U.S. Grant" with a 4 ¾" barrel.